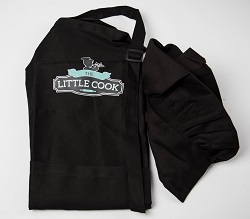 Get your Little Cook off to a great start with our kids deluxe baking pack. 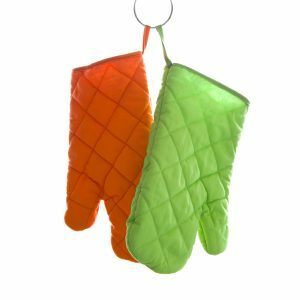 Jam packed full of essential baking utensils for your kids to bake and cook with, they are also really easy to clean! 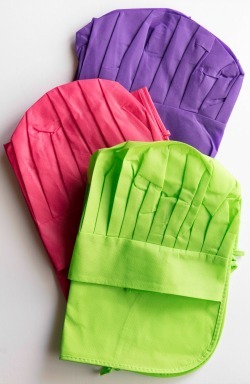 Your Little Cook will feel like the King or Queen of the kitchen when they wear this brightly coloured apron and chef hat. 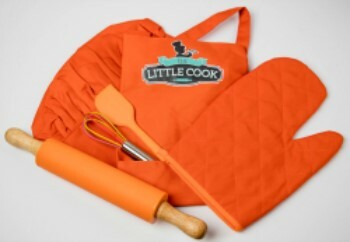 If your Little Cook has a passion for baking then they are going to love our new Kids Deluxe Baking Pack in burnt orange. This baking pack contains all of the equipment they need to make the perfect sponge cake, muffins or biscuits.